Hyperloop Transportation Technologies (HTT) on Tuesday said construction of its first passenger capsule is now under way. HTT, one of two major startups working to bring Elon Musk’s vision of a Hyperloop transportation system to life, said its passenger capsule will measure nearly 100 feet long and be around nine feet wide with a weight of 20 tons. The pod should accommodate between 28 and 40 passengers depending on the internal configuration. It’s the speed, however, that makes the Hyperloop concept so appealing. HTT said its capsule should be able to reach speeds of up to 760 miles per hour. For reference, the sound barrier is reached at around 767 mph in dry air conditions. As TechCrunch correctly points out, it could be argued that a Hyperloop system is essentially a ground-based airplane. 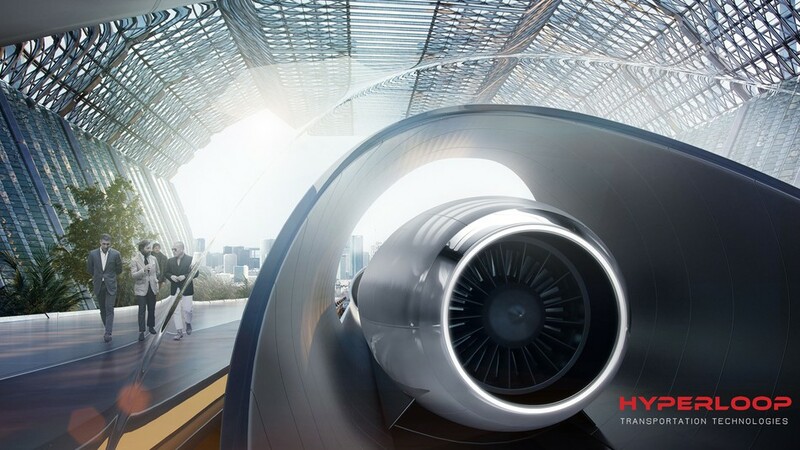 Both traditional planes and Hyperloop pods are designed to travel through extremely low-pressure environments where they take advantage of reduced friction to reach very high rates of speed. Rival firm Hyperloop One, meanwhile, has been focusing much of its efforts on building a track rather than a capsule. Last May, the company publicly demonstrated its Hyperloop propulsion system and published conceptual renderings of what its system might look like in Dubai in November. Earlier this month, it was announced that Hyperloop One had completed its first test track in the Nevada desert. Work on HTT’s capsule should be completed (and revealed) sometime early next year.